While I was in Cambodia, one of my projects was to build a nurse station for the Savong orphanage. While the intent was to use it primarily for the orphanage, the hope was to also use it for the children in the neighboring villages. 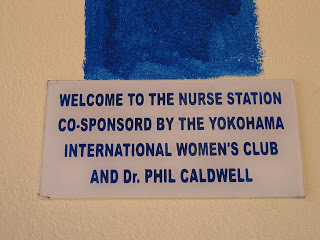 With the money that I had collected prior to my arrival in Cambodia along with money that was generously donated by the Yokohama International Women's Club, we were able to start construction on the building. With a little bit of money, a lot of good can be made! Although I was in Cambodia for only ten days, I was able to be there for the groundbreaking. It didn't take long to put up the walls. I just received these photos from Savong. The nurse station has been completed and a dedication has been placed on the wall. I'm very proud to have my name on this project! 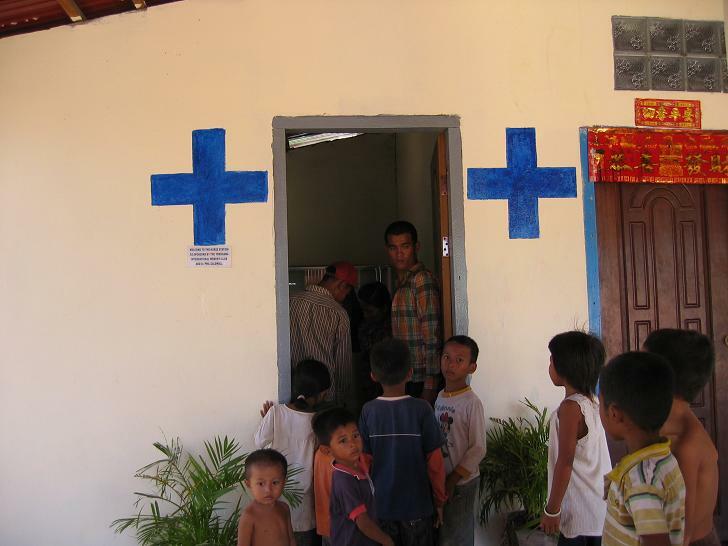 Savong is looking for sponsors to help with the purchase of medical supplies. If you would like to help, please contact me. As always, even the smallest donations are appreciated. Here is a wall hanging that I photographed in a bar.